The same solution does not hold true in more serious fields. In the war on terrorism, substituting hard facts with esoteric rhetoric blurs the picture and creates confusion. The latest example of this situation, coming on the heels of the terrorist attack in Orlando, is the Department of Homeland Security's interim report on Countering Violent Extremism (CVE) Subcommittee released this month. This was not a wartime strategy report. On the contrary, this was the administration's latest initiative to move further away from the war on terrorism and blur the picture as to who the enemy really is. The subcommittee was formed as part of the DHS's Homeland Security Advisory Council ("HSAC") last November. It was described by the department as "an incubator of ideas." It defines CVE as the actions taken to counter efforts by extremists to radicalize, recruit, or mobilize followers to violence. Who is a violent extremist you ask? According to the report, it is an individual who supports or commits ideologically-motivated violence to further political goals. And what type of weapons would one use in this fight? The committee recommends using "soft power tools." Soft power is a conceptual idea that persuasive words are more important than the use of force in a time of war. One month after the subcommittee was formed, another terrorist attack occurred in San Bernardino, Calif., that left 14 people dead and 22 injured. The attack was carried out by a husband and wife jihadi team, Syed Rizwan Farook and Tashfeen Malik. ISIS described the couple as "soldiers of the caliphate." When the current administration removes the words "radical Islamic terrorism" from the equation, it is more than a semantic faux pas. It is an intentional erasure of one of the dots necessary to see clearly the threat facing the United States. It identifies who has declared war on us. Groups like al-Qaida, al-Shabaab, and ISIS are not looking to attract students to some philosophy or political science class. If the information given above regarding the higher and important positions held by Muslims in the USA or in any other country such as "Homeland Security Adviser", or "FBI agent" or in other important higher position, the danger will golf the country very slowly and when that will happen, it will be hard to stop the Muslims. One of the major things happening today is that the way the Muslims from Muslim majority countries of the countries where ISIS/ISIL have invaded, are heading towards Europe and America, is a matter of grave concern for the safety of those countries. Those country should see deeply how the religious minorities (especially the Christians) live in those countries and what kind of treatment they get from the Muslims. Who knows how many members of ISIS are entering in disguise to Europe and America? We have seen the tragedy in Germany in the beginning of this year how the Muslims refugees treated the women on the first day of the year. Don't we learn from the events? One request, please help the Christians living in very critical situation in those Muslim majority countries and help them come out of those hell. Why don't we use better terms to describe what is actually happening? 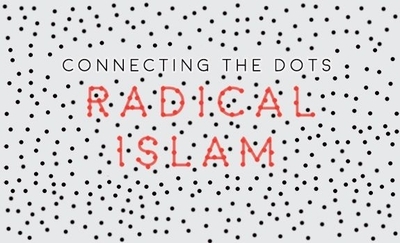 Instead of the word "radical" why don't we use "original" or "Mohammedan"? The behavior of Muslims which we deem as threatening is actually exactly what Islam's founder did personally and made the standard for all his followers. When we use the quantifier "radical" it sounds like an aberration, when the jihadists are the most perfect Muslim according to Mohammed. And why isn't he ever mentioned or his text? The Muslims who decide to begin acting out terroristic behavior are only obeying what is written throughout the Qur'an and Hadiths and Sunna. They are not "radicalized" by the Internet. Local Imams are teaching the texts and exhorting young men to get serious and obey Allah. It's really no different than any motivational speaker or preacher trying to get his audience to change and DO something rather than just read/hear about it. If we had been living in 700 AD in Europe we would have witnessed all sorts of attacks and barbaric acts by hordes of Muslim armies determined to literally use the sword to take over every spot of earth for Allah. They didn't use the word "radical". They simply called the marauders Mohammedans. We're freaking out because we don't know history and its merely repeating itself. Do we have the courage to fight for our lives as at the Battle of Tours in 742 ish and at the Gates of Vienna 1483? The only societies which have survived an Islamic takeover have been those who fought against it. All those which allowed Islam an entrance have been swallowed up and are now Islamic. What a shame. What will history write about America? Or Europe? Great Article! But it's useless to say what this administration, or this Congress, or this FBI, or this local law enforcement SHOULD do. Nothing will change, when we have the foxes watching over, and in charge of the henhouse! We have Attorney General Loretta Lynch saying "Best Response To Terrorism Is Love And Compassion"!! I'm not able to post the link to that article, but it's on jihadwatch.org, and taken from The Washington State Beacon. When there are so many uneducated, ignorant individuals (of islam) in high positions of government, you can take it to the bank, that this country, Britian, and all those other countries, ( that millions of these "people" are immigrating to) are just going to simply let these "people" take over these governments, one seat, one chair, at a time. All because of ignorance of islam, and thinking there's no difference in this religion with any other, when we are clearly told, that satan's time is short. Wouldn't anyone believe that he's in charge of this earth, for now, (there's a verse or two of that), and that his time just picked up the pace, with him taking control of his immigrating army? It's mentioned in Revelation, that everyone will have to take a mark in their right hand or forehead, or get beheaded. Is there any question now, of who will be in charge of that, when the time comes? Here's another example taken from jihadwatch.org from the Daily Caller. Muslim who said 9/11 "changed the world for good" is on the Homeland Security Advisery Council. And the list goes on and on. They'll be no decisive action on this as long as our commander and chief keeps vowing to bringing in thousands. And I have TOO many articles on THAT!